Last weekend saw our latest Baden Powell Adventure take place in Coalbrookdale. Nine guides from units across the county came together to take part in their adventure. The girls tackled a murder mystery challenge around the Coalbrookdale and Ironbridge area in teams, as well as taking part in the Keep Britain Tidy #GBSpringClean by collecting any rubbish from the surrounding area. 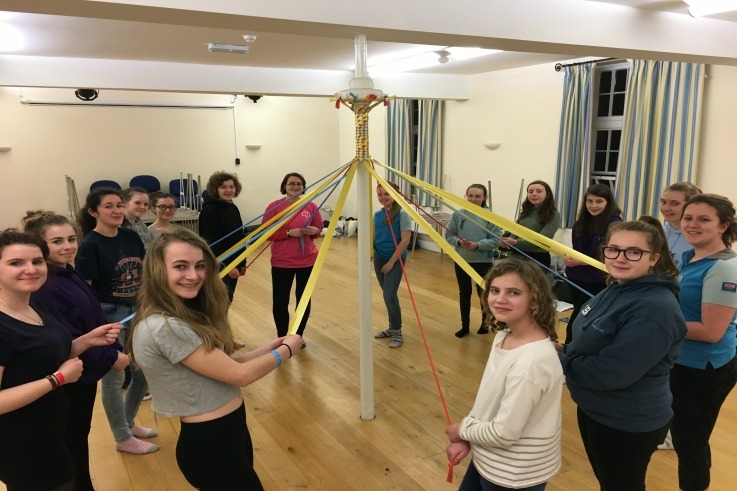 Once back at the community centre, the girls were joined by 5 Young Leaders from the county for a fish and chip supper and then an evening of new activities to take back and share with their units. Everyone also had a go at maypole dancing. On Sunday the girls walked to Blists Hill Museum, where they spent the afternoon before heading back to Coalbrookdale Community Centre for their awards ceremony.